Toronto City Council approved almost 7,000 new condo units this week, adding to the nearly 70,000 already in the pipeline, in a staggering rate of development that has some wondering if the city's infrastructure can keep up. Landing at Toronto's Billy Bishop airport, flyers can count a sea of construction cranes dotting the skyline. There are a lot of them for condo projects in various stages of development, and there is about to be even more. "Wow, more condos? We have so many downtown already," said Toronto resident Colton Kotanko. "Why does it have to be downtown? There's less and less to do here." 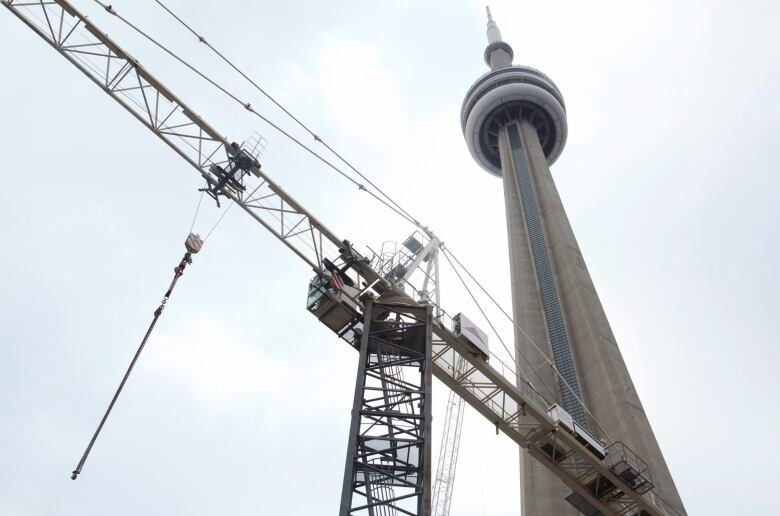 Toronto already has the highest rate of development anywhere in the world, even before this week's council-approved $21 billion in new development, mostly concentrated in the downtown core. "We are experiencing a Manhattanization of downtown Toronto. Will it stress the infrastructure? Our planners are saying not yet, not quite," said Coun. Joe Mihevc. The development is a financial boon that is hard for council to turn down, but chief planner Jennifer Keesmaat admits there is risk in going forward with condo development at this rate without knowing if infrastructure development can match it. "We cannot afford to pause on the downtown relief line. We are creating a problem that is only going to grow," Keesmaat said. "You could argue in some areas that a pause is required. There have been times I have sat around the table with my colleagues and we have struggled with that question." Keesmaat said the city has been able to improve the planning process and move projects forward more quickly, but that is in response to the growing demand to have development in the core of the city. "We are beginning to kill the golden goose here. Our quality of life is going to begin to suffer if we don't put the brakes on some of that growth." The admission does not bring relief to Toronto residents who are worried about the dizzying rate of condo development and whether infrastructure can keep pace. "I think it shows a lack of future planning," said Toronto resident Miranda Mulholland of new condo approvals. "They don't seem to be very high quality, and if you look at European cities there are beautiful buildings that have been around a long time. I don't see these in 20 years looking in any way beautiful and that's a shame." The city is looking at water, sewage, schools, parks and all of the "hard and soft infrastructure" in order to ensure that there is a connection between the amount of growth and the infrastructure that's needed to ensure a high quality of life, according to Keesmaat. One of those analysis initiatives called Comprehensive to the Core. "A lot of this development is good environmentally. It's putting people close to where they work. We're seeing a lot more bicycle traffic, walking traffic. I think we will see plans that will address the infrastructure needs of this development," said Mihevc.